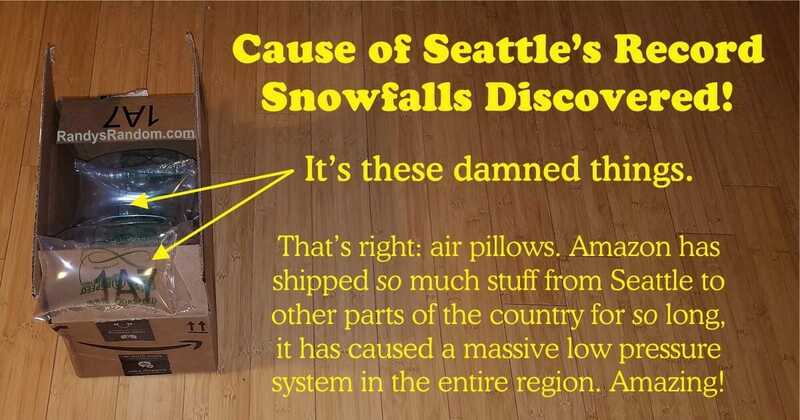 Cause of Seattle’s Record Snowfalls Discovered! That’s right: air pillows. Amazon has shipped so much stuff from Seattle to other parts of the country for so long, it has caused a massive low pressure system in Seattle. Amazing! This winter, Seattle was slammed with record-breaking snow — and now we know why! And there’s no arguing with the science.